Boans Furniture Factory is a landmark in East Perth, and the only tangible reminder of a retail chain which dominated Perth for near a century. 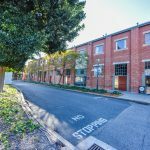 Recently, it has been transformed into loft-style and studio apartments, and is noted on tourist trails as one of the things to see and do in East Perth. Boan Brothers opened their first general retail store on Wellington Street in November 1895, and started selling furniture around 1912. 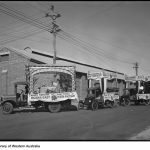 After World War I, as the demand for new homes rose, they built a factory in East Perth to make every kind of furniture, as well as mattresses, upholstery and cane work. Unfortunately, in the early 20th century, Western Australia was in the grip of anti-Chinese hysteria. One result of this was the Factories Act of 1904 which forced Asian furniture companies to stamp their products with the words ‘Asiatic Labour’. 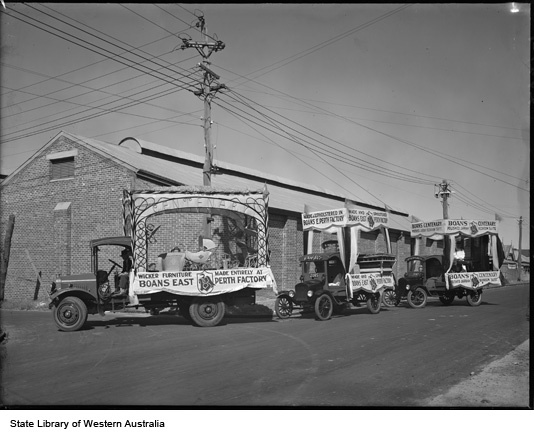 Boans took advantage of this public mood by advertising they only employed ‘white labour’ in their East Perth factory. From the late 1960s, Boans started to sell furniture from specialist manufacturers and even importers, and their factory changed to making shop fittings. 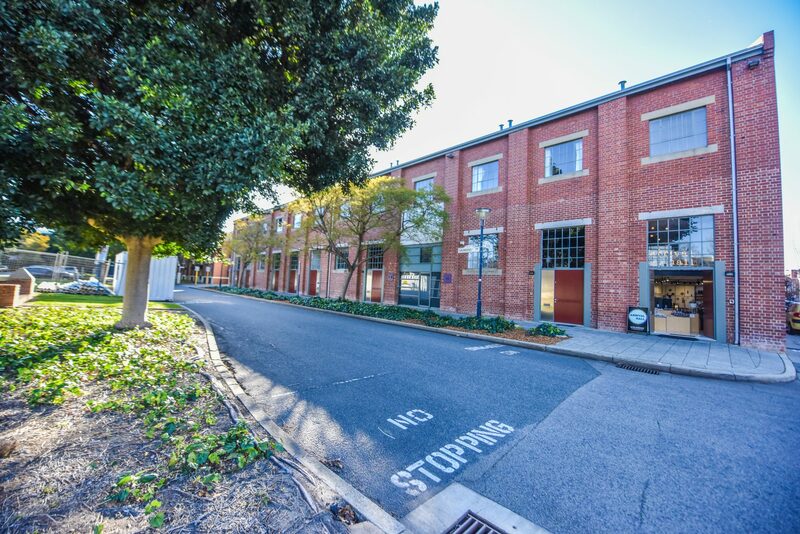 Eventually, after Boans was sold to Myer in 1986, the East Perth Factory first became a Ross’s Salvage, then an arts and cultural venue, before being converted into modern living apartments. Boan Brothers opened their first general retail store on Wellington Street in November 1895. When the store was extended through to Murray Street in 1912, furniture was one of the new departments to be added to the emporium. The department not only sold imported furniture but also furniture made at its own factory, which was also in Wellington Street. After the close of World War I there was an unprecedented demand for new housing, and a consequent call for new furniture and other household items. Boans responded to this in August 1920 by staring work on a new furniture factory in East Perth, with frontages to Saunders and John Streets. Designed by architects Oldham & Boas, the building was 55m by 37m, and the company boasted it was equipped with the “most up-to-date machinery for turning out furniture of every description, from a kitchen dresser to a Chippendale sideboard or a drawing-room suite of any period”. Boans Furniture Factory also made mattresses, caneware and upholstery. The factory had a brick frontage to Saunders Street, and a corrugated iron roof. Skylights provided light, although it also had electric lighting. The factory had its own lunch room and some recreational facilities were available for the 70 employees, such as table tennis and tables for draughts and cards. 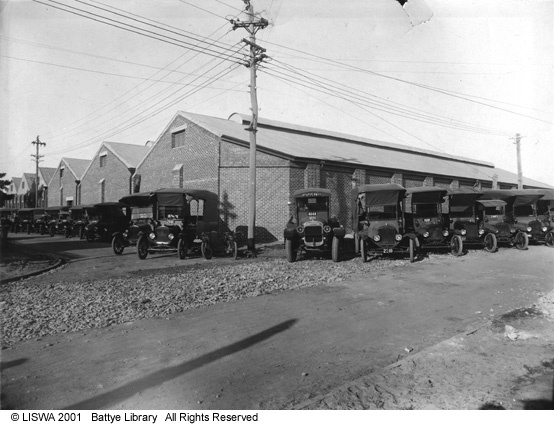 By 1935, Boans found it necessary to extend the factory at East Perth with an additional storey, erected under the supervision of architect F. G. B. Hawkins. This allowed them to increase the number of employees, and provided space for storage of furniture. Unfortunately, during the early period of Boans Furniture Factory, Western Australia was in the grip of anti-Chinese hysteria. One result of this was the Factories Act of 1904 which restricted Asian ownership of factories, and even their employment, and forced Asian furniture companies to stamp their products with the words ‘ Asiatic Labour’ . Boans took advantage of this public mood by advertising they only employed ‘ white labour’ in their East Perth factory. After World War II, the bakehouse, on the fourth floor of the Boans City store, moved to the East Perth factory. There was also, by this time, a butchery, where carcasses were cut and prepared for delivery. When television was introduced to Western Australia in 1959, Boans purchased more land facing Glyde Street and built another factory to house television assembly, as well as radio and electrical goods. From the late 1960s, Boans changed its policies to buy furniture from specialist furniture-makers in Western Australia, other States, and overseas. After ceasing production of furniture, the East Perth factory took on the role of manufacturing Boans’ shop fittings, such as shelves and cabinets. Because Boans could not expand its factory in East Perth, operations were gradually moved to the central distribution centre in Cannington, a move which was completed by January 1976. The East Perth property was sold to the State Government, who then leased it to Ross’ s Salvage. In 1986, Boans was sold to Myer, and Boans Furniture Factory is the only remaining building associated with the old established firm, since its old retail premises have been demolished. 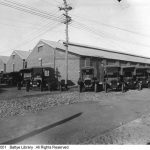 In May 1992, the property was transferred by Main Roads to the East Perth Redevelopment Authority who leased the premises to arts, cultural or community groups as a venue for theatre, concerts, exhibitions and fashion parades. Today the Boans Furniture Factory has become a landmark in East Perth, and the only tangible reminder of a retail chain which dominated Perth for near a century. It has been transformed into loft-style and studio apartments, and is noted on tourist trails as one of the things to see and do in East Perth.